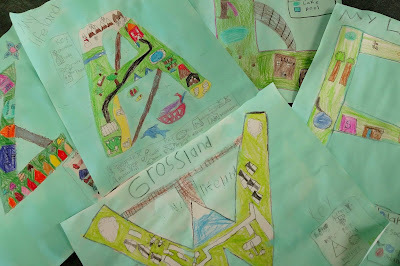 In third grade our first unit for social studies is a fun one.....geography. The kids get very excited and love to start exploring maps and globes. 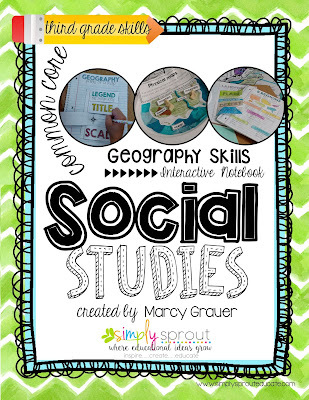 Take a peek at a few of my favorite classroom activities for geography. I start the year off by introducing interactive notebooks. I explain to my students that these are notebooks that will keep track of our ideas, discoveries and information to help us grow. 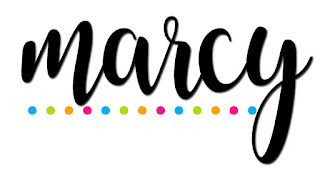 These are unique in the fact that they are never truly complete, the students learn from them by adding new content to old material as they make new connections throughout the school year. You can find the Interactive notebook kit complete with a study guide and test in my TPT store. We start off by exploring what maps are you can read more about that over at OTC. 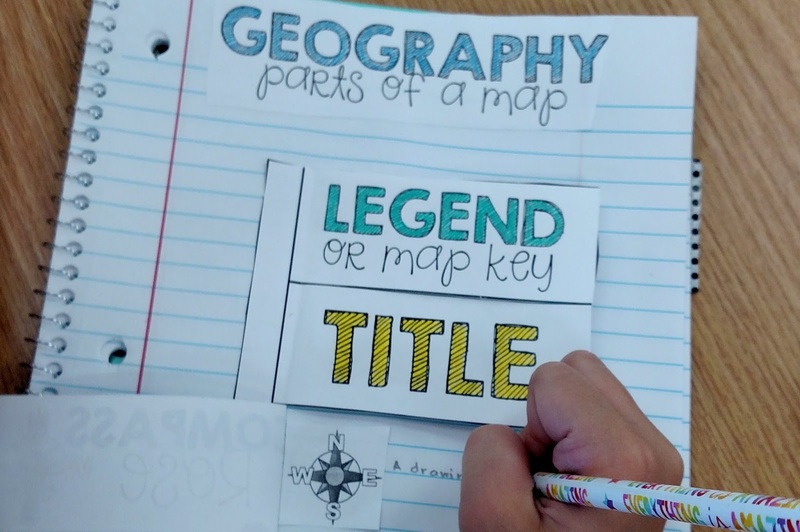 Our first entry in our notebook begins with the parts of a map. The notebooks are easy to assemble just print the contents at 75% and then have students cut and paste into journal. I teach them to neatly add glue dots from their glue stick onto the slim edge, the other area gets cut to create a window flap where they can add their picture or definition underneath. As part of our map exploration I put up a United States map, this one was found at Target, in the dollar section. Throughout the year we asked family & friends to send us post cards from around the country as new ones came in the students would add them to our board with a staple and some ribbon and then they would color the state if it hadn't been done already. One of our fun activities was creating a life island, this was a great beginning of the year activity. It helped me get to know my students better and they reinforced those map skills along the way. Each students drew the first letter of their name onto a piece of construction paper. They added a title, compass and key. Within the island they had to create areas that told me about them. For example if they love to dance they might have a ballet auditorium. When they were done they colored using colored pencils then I had them add water around their island using aqua watercolor paint (craft paint watered down). These turned out great and were fun to display for open house. As part of our common core standards we also had to learn our continents so we rolled our sleeves up and got a little messy with some paper mache globes. I was surprised how many of my students had never even heard of paper mache before. Simply put we covered balloons with a flour / water / glue mixture and newspaper strips. Set aside to dry for a few days and then repeat the process with blue tissue paper. Once dry the students could add their labels and continents. 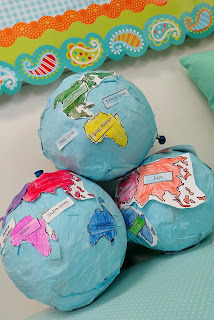 After making globe models we also tried our luck with creating physical maps. They took paper plates and used blue tissue paper squares to represent water. Then they added the United States onto their map. 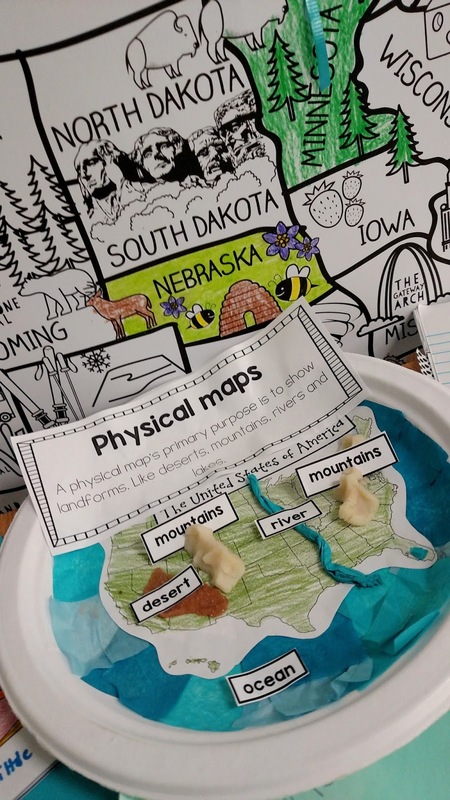 They used playdough to create mountain ranges, sand to create a desert area and twisted blue tissue paper to create the Mississippi River. Once they were done they labeled their physical map. The study guide and test in the geography kit are helpful for assessing the common core social studies benchmarks for third grade. They align with our current standards. My students found the study guide and their interactive journal really helped them to be prepared for their social studies test. 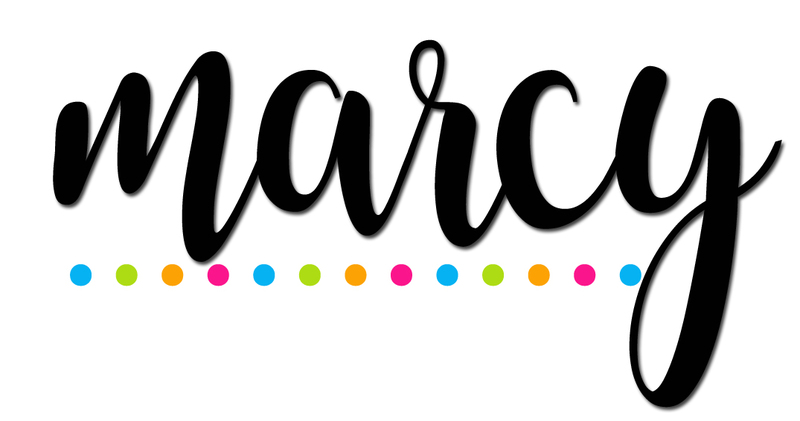 I hope your students love trying out a few of these activities. Go buggy for Math this summer!